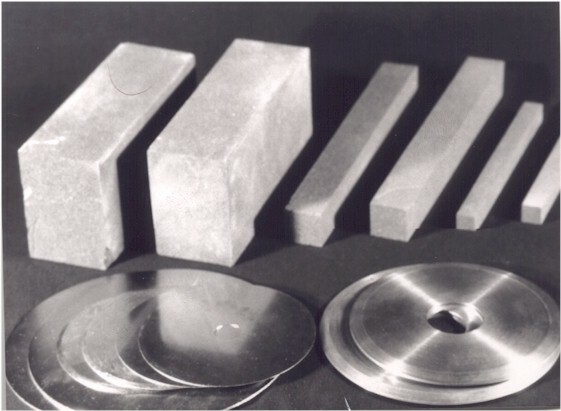 Dressing sticks made from silicon carbide or alumina oxide (soft bond) are usually used for dressing diamond tools. Diamond Tools must be used with diamonds exposed properly through frequent dressing. Otherwise, the diamond tool will glaze over. They will begin to tear rather than grind which is very destructive. Tearing caused from unexposed diamonds creates friction. This causes uneven wear and heat cracks in the diamond tool as well as material being machined. Resulting in premature diamond tool wear, blade tensioning problems, and will eventually destroy the diamond tool. The more a diamond tool is dress the cooler it will drill or cut. 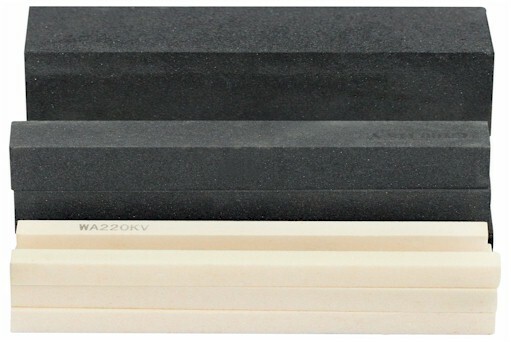 1/2" x 1/2" x 6.0"
Premium Dressing stick for universal diamond products 150 Grit (Mesh Size) or finer Diamond Wheels or Drills. 1.0" x 1.0" x 6.0"
Recommended for use in Diamond Tools 150 Grit Size (mesh size) or finer. 2.0" x 2.0" x 6.0"